This is a die-cut flange Harding Cream Co porcelain sign. This particular Harding Cream Co sign is orange with black print. 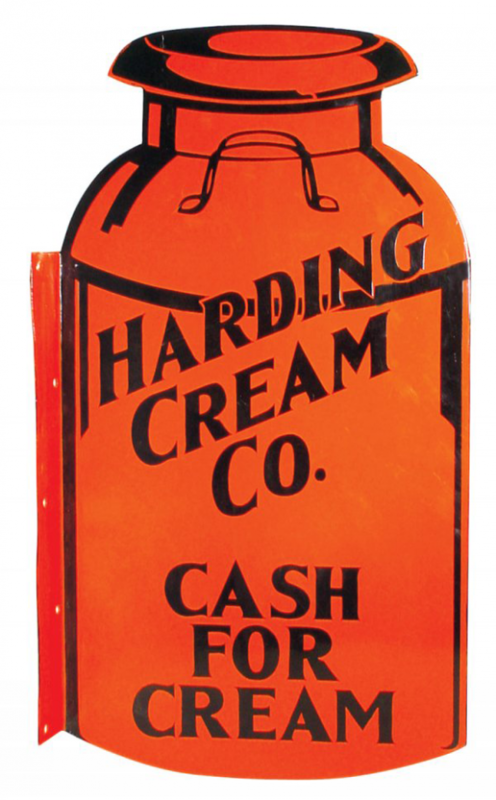 It reads, “Harding Cream Co., Cash for Cream” and is shaped like a cream can.